Cape Town - The Public Investment Corporation (PIC), responsible for managing government employees' pension money, said it will still consider investing in the ailing national carrier South African Airways (SAA), provided the airline meets certain conditions. 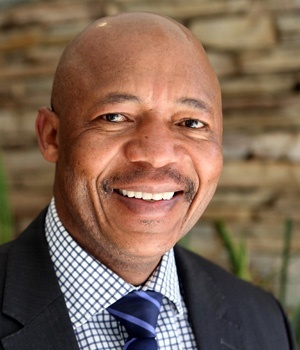 PIC CEO Dan Matjila told members of Parliament on Tuesday that the fund manager has not "closed the door on SAA", but added that the struggling state-owned entity would need to turn around its finances and governance. The PIC and the Government Employees Pension Fund (GEPF) are appearing before Parliament's standing committee on finance regarding their annual reports for the 2016/2017 financial year, their investment mandates and general performance. During question time, Alf Lees from the Democratic Alliance asked Matjila to clarify if the PIC would indeed consider investing in SAA to which he responded, "If they meet certain conditions." The ANC's Yunus Carrim, chairperson of the standing committee on finance, interjected, saying, "But they're (SAA) very far from meeting your conditions, right?" to which Matjila agreed. Rumours that the PIC may be called upon to help provide a lifeline for SAA have been doing the rounds for months now. Finance Minister Malusi Gigaba first alluded to the possibility in May this year during a question and answer session in Parliament, but no clarity has yet been given on the matter. In August this year, when SAA reported to Parliament on its finances, the carrier indicated in its corporate plan that the PIC could be a source of funding. In the corporate plan for 2017 to 2022, which was tabled by National Treasury in Parliament, SAA lists its funding requirement for a five-year period as amounting to R13.1bn. Under “sources and uses” of funds, the PIC was listed as a source of funding of R6bn for the 2018 financial year.